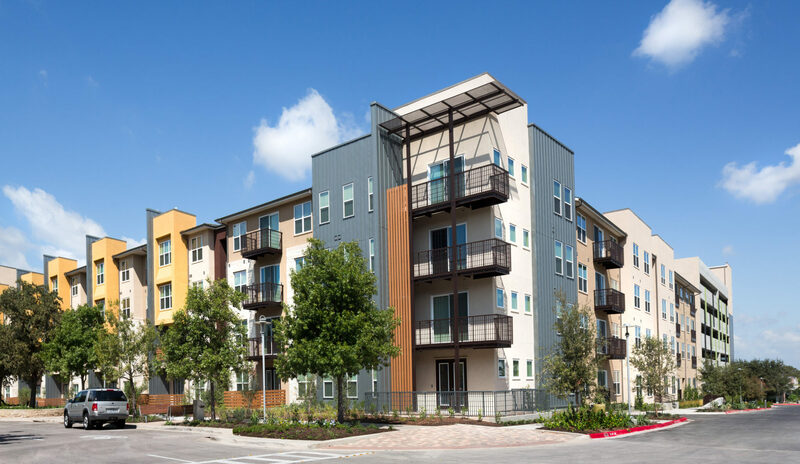 A continuation of the existing success in North Austin, this commercial redevelopment of the former IBM campus into the walkable urban center known as The Domain, is a paragon of contemporary regional placemaking. 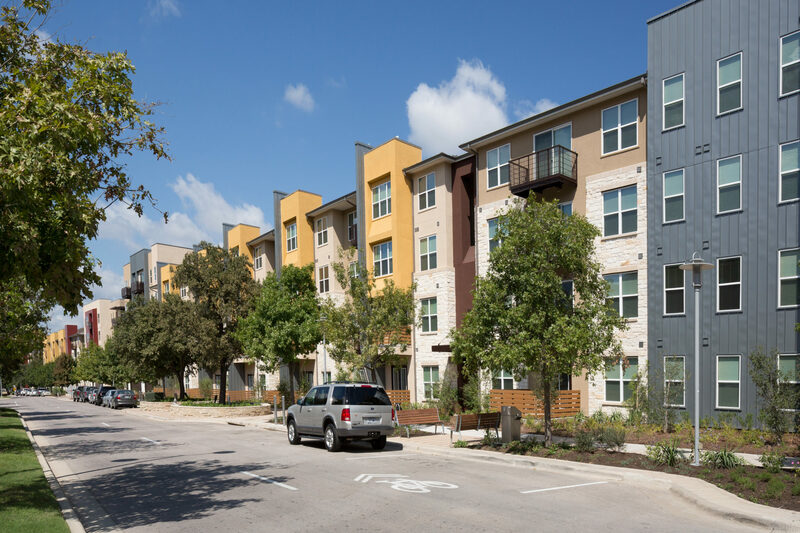 Phase Five continues the growth of the master plan and woks with Phase Four by bracketing the new Rock Rose Avenue with another edge of mixed-use, high end, sustainable, residential units and ground floor retail. 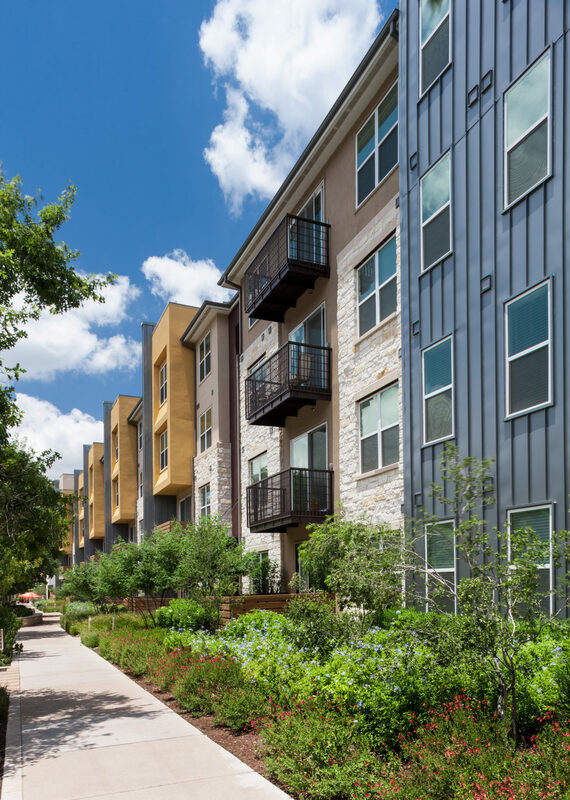 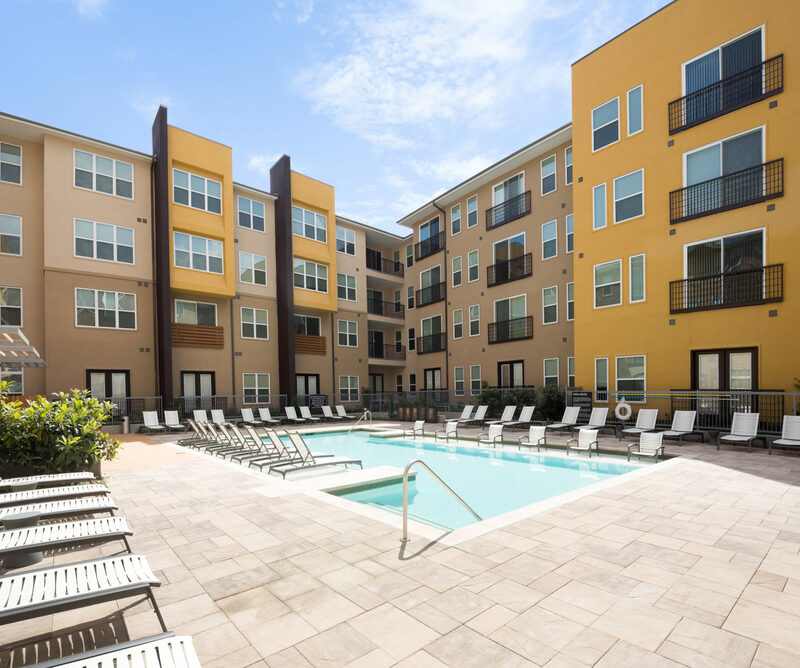 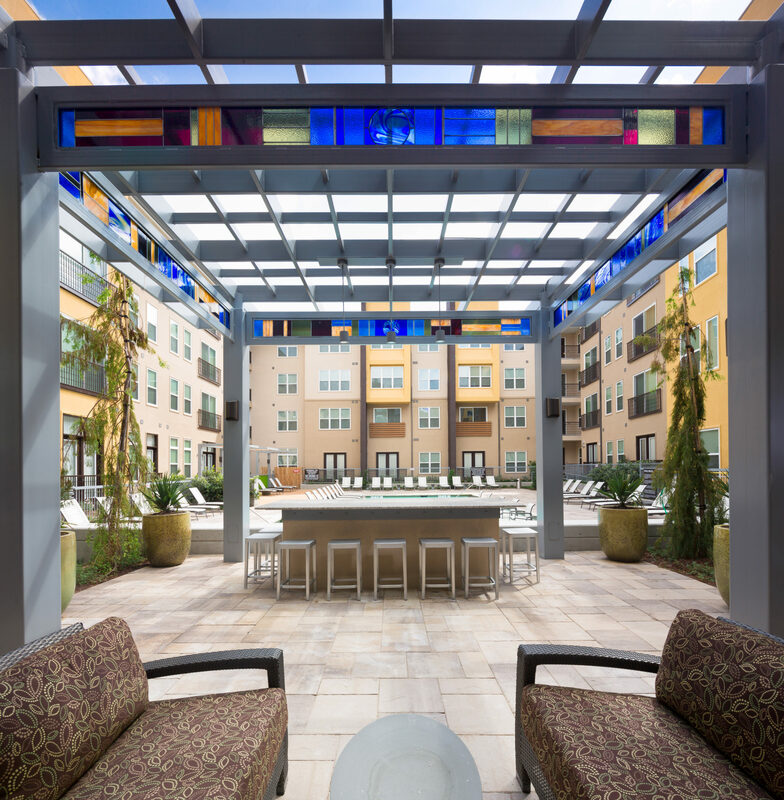 The project offers urban living and shopping that achieves an environmentally sensible two Star Austin Green rating. 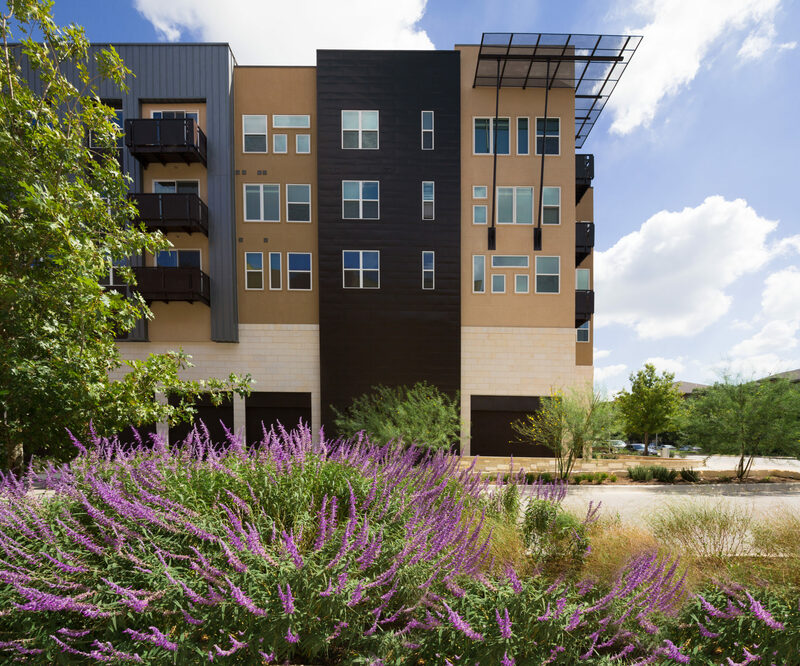 The project enhances the urban fabric, displacing a grey field parking lot for an adjacent office complex and integrating their parking needs into the new structure.